ADP TotalSource provides a full suite of employment services to companies ranging from 10 to 100 employees. As an outsource solution for companies’ H.R. functions, Employee Benefits, Payroll service, Workers’ Compensation, Federal and State Workplace Compliance Issues, new business generators are faced with a complex sales process. 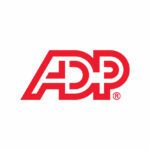 ADP TotalSource was experiencing explosive growth through new hires and acquisitions. Management’s goal was to increase the gross profit per sales representative, shorten the average time from new hire start to the implementation of a new client’s system, and drive set-up fees paid by new clients. SNI examined the existing curriculum and uncovered ways to not only teach the standard negotiations training program but also, during the course of the two-day seminars, demonstrate how SNI’s negotiations tools could be implemented in the context of their existing sales process from initial contact through service agreement signatures. SNI was then asked to design a customized follow–up program that focused on probing techniques and methods to uncover the interests of the top decision makers. As a result of SNI’s negotiations training, gross profit per representative and implementation fees paid both increased while average days to start went down.